There is a call for over 200 charity quilts to provide comfort for Broncos staff members, billet families, first responders, EMT, RCMP, Fire and other impacted in the communities of Humboldt and Tisdale and surrounding communities. 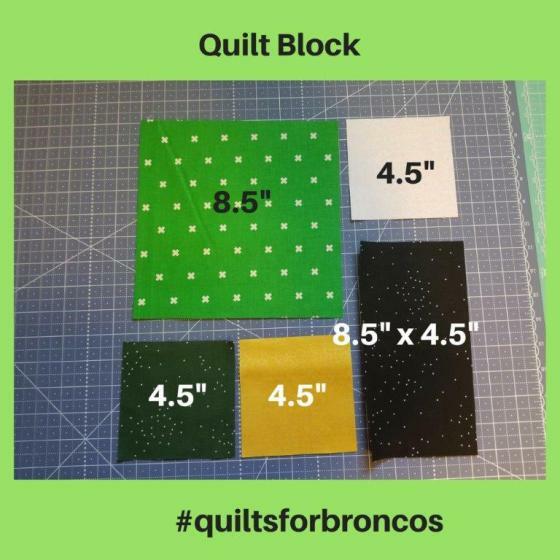 You can either make a whole quilt or just a few blocks. Green, Dark Green, Gold, Black, and White. Arrange and mix up the colours as you wish! 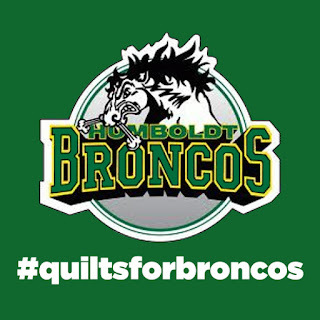 And if you make an entire quilt, I will quilt it for free. 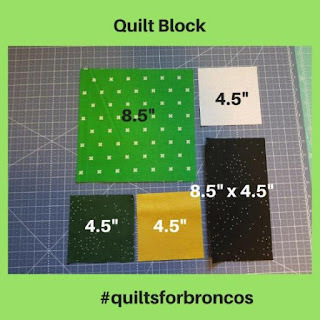 Deadline for quilts/blocks is May 18th. More details can be found HERE.